Raquel joined our practice in 2010. She is the only employee that is cross trained to work in all three of our companies, Dr. Michael J. Schenden, Schenden’s Medical Day Spa and Columbia Surgical Center. She has a strong clinical knowledge of skin care, aesthetic injections, skin laser treatments and surgical procedures. She is a Registered Nurse and a Licensed Aesthetician. As an aesthetician, Raquel is licensed to perform non-invasive facial aesthetic procedures. As a medical aesthetician working in a medical practice, she has obtained specialized training for a wide range of aging and skin conditions utilizing sophisticated clinical skills and skin therapy modalities. As a medical aesthetician and a registered nurse, she has the skills to perform comprehensive skin care analysis and will develop a sophisticated plan to promote an ongoing comprehensive clinical skin care management process. In addition, she is trained and experienced in all of our spa laser services. Raquel performs cosmetic laser treatments that range from the elimination of unwanted hair, stimulation of collagen for a more youthful look and/or diminish pigmentation as well as to control acne. This experience and her love of the aesthetic field prompted her to further her education to become a Registered Nurse and Nurse Aesthetic Injector. Raquel graduated from Oakland Community College with a degree in registered nursing. She has received comprehensive training by Dr. Michael J. Schenden on the full line of aesthetic injections. In addition, she has attended several trainings lead by industry leaders in the aesthetic field. 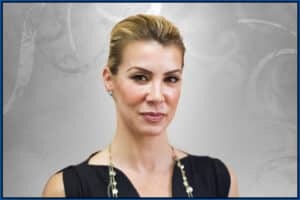 Her broad background allows her to not only analyze your need for aesthetic injections but also provide the best in skin care treatment/products as well. Working in our surgical center allows her to follow a patient and ensures that our patients receive the best aesthetic treatment and beauty plan in the area. In her off time she is a professional body builder which rounds out her desire to not only look your best on the outside but feel and be your healthiest on the inside. Raquel takes the time to listen to all of her patients and develop a treatment plan that works for them and helps them meet their desired goals. She has a thorough knowledge of this industry and her patients benefit from her comprehensive background.